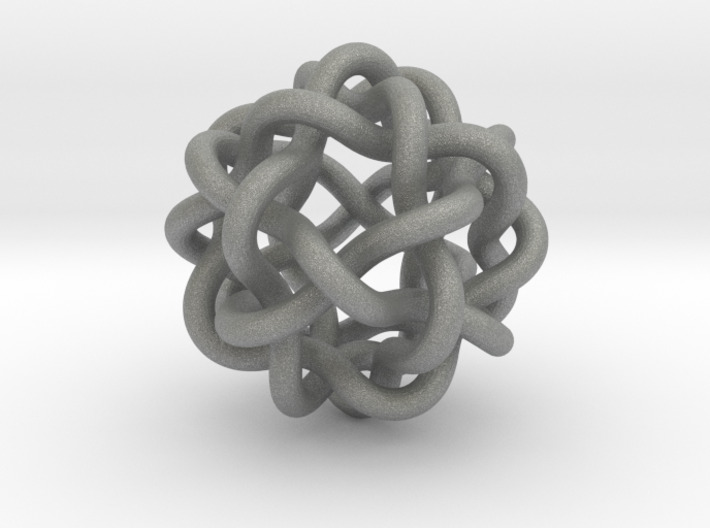 A set of interlocked links forming a small cage. Prints well in a wide range of materials and sizes. 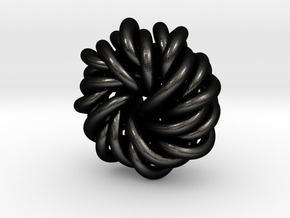 Great as a charm or pendant. If you'd like the cage to hold something, like an initial or a small object let us know. 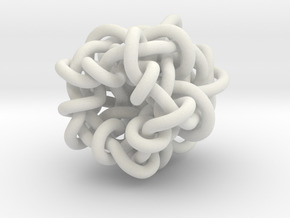 All B&G Knots & Tangles can be produced in sizes other than the ones shown, up to and including large -scale, 3d printed sculptures up to 20' height. 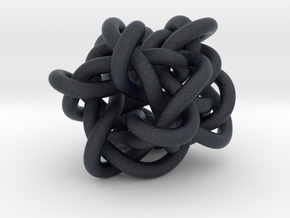 We'll customize any knot; say with a thinner or thicker strand, or make it out of a multi-strand for a rope look. 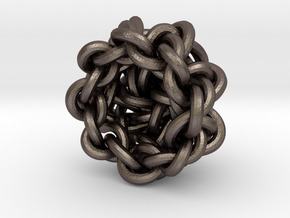 We can also link multiple knots into a chain, or anything you can imagine and a few things you might not.